Wonky Wildflowers is a fun mix of quilting and hand embroidery. 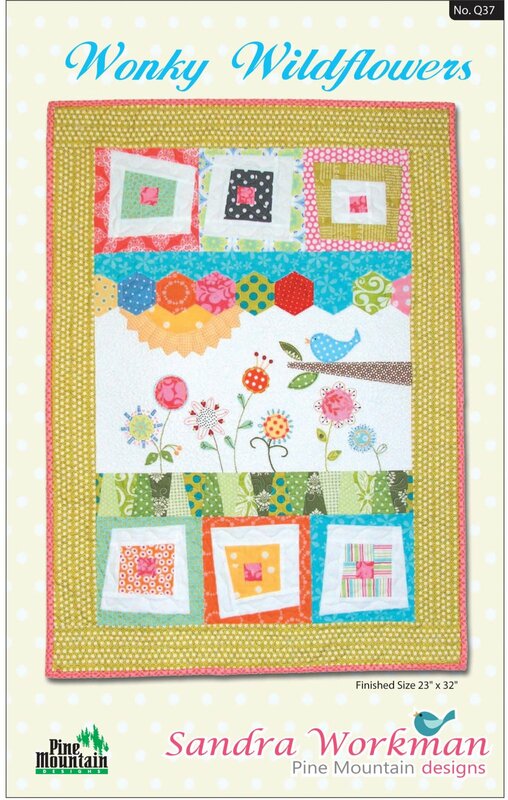 With wonky log cabin blocks, wedge grass, dresden sunshine, hexagon embellishment and embroidered flower petals this project is as much fun to create as it is to look at. This is the first in a series of four season wall hangings, each measuring 23" x 32".